Visiting Caernarfon soon? You’re in for a real treat. Within this beautiful little town, you’ll find plenty of things to do and lots to see. If you’re into shopping, you’ll find plenty to keep you occupied. As well as the already established shops, a host of new boutiques have recently opened in the town selling a wide range of local arts and crafts. For entertainment, why not wander down one of the many interesting streets that meander away from the town centre? Here you’re likely to find lots to keep you busy including Y Galeri; a wonderful building housing theatre, opera and even a cinema. After all your exploring, it’s time to take a load off and rest your feet in one of the friendly local pubs. See if you can spot the smallest bar in Wales nestled amongst the local eateries and, while you’re at it, be sure to keep a lookout for the Black Boy Inn; one of the oldest pubs in Wales and renowned for its traditional welcome. Feeling peckish? 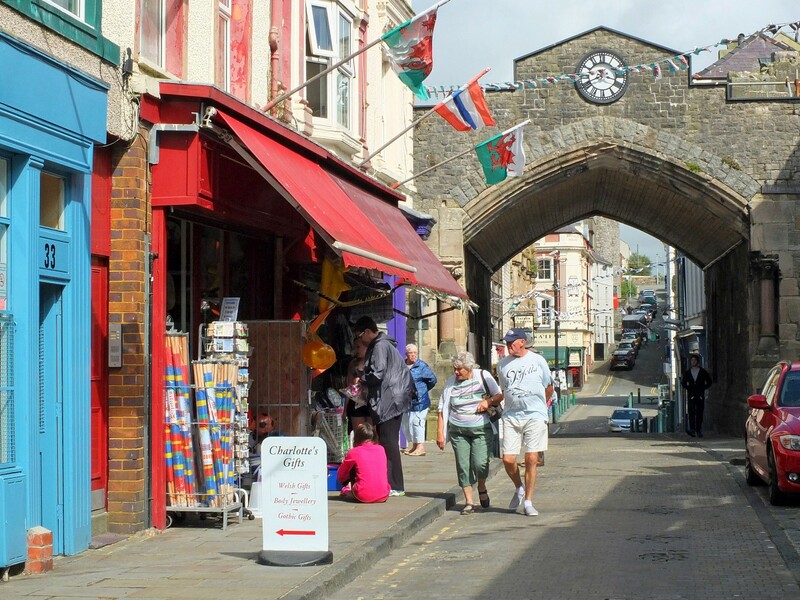 In the square – known locally as Y Maes – you’ll find numerous cafés and delicatessens with lots of tempting small bites to keep you going. But if you’re after something a little bigger, a host of restaurants and eating establishments skirt the castle, where you will find an array of cuisines from Greek and Italian to Indian and Chinese. Our personal recommendation comes in the form of the Villa Marina – a beautiful Italian restaurant sitting just above the railway station. As well as hosting the occasional event, the newly opened Market Hall also serves delicious meals, and the superb Kasbar is one of the cheapest eating establishments in the region, serving some of the best fresh locally sourced foods. 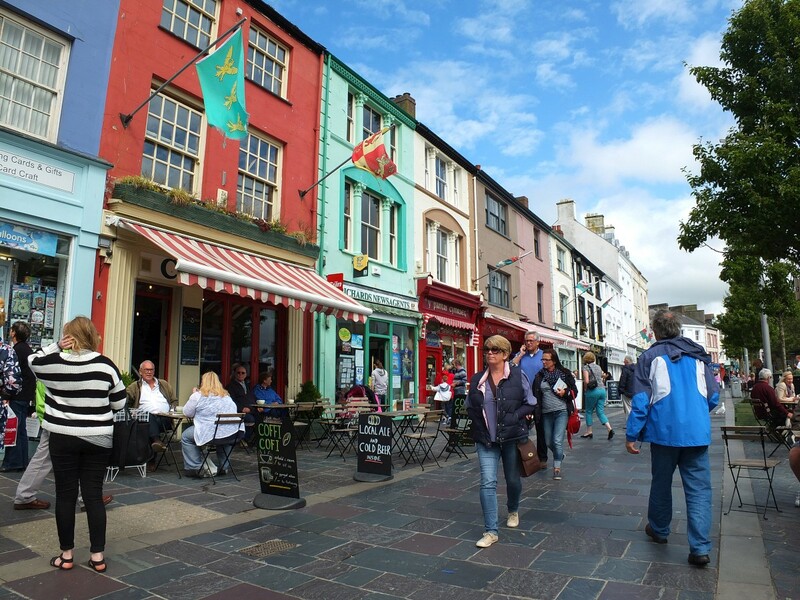 Quite simply, there is so much to see and do in Caernarfon, it might even be a good idea to turn your trip into a mini-break. A wide range of accommodation can be found in and around the town itself including a Travelodge and a Premier Inn right beside the Menai Straits. For more information, visit www.visitsnowdonia.info. And once you’re finished exploring this lovely town, why not take a steam train journey onboard the famous Welsh Highland Railway? 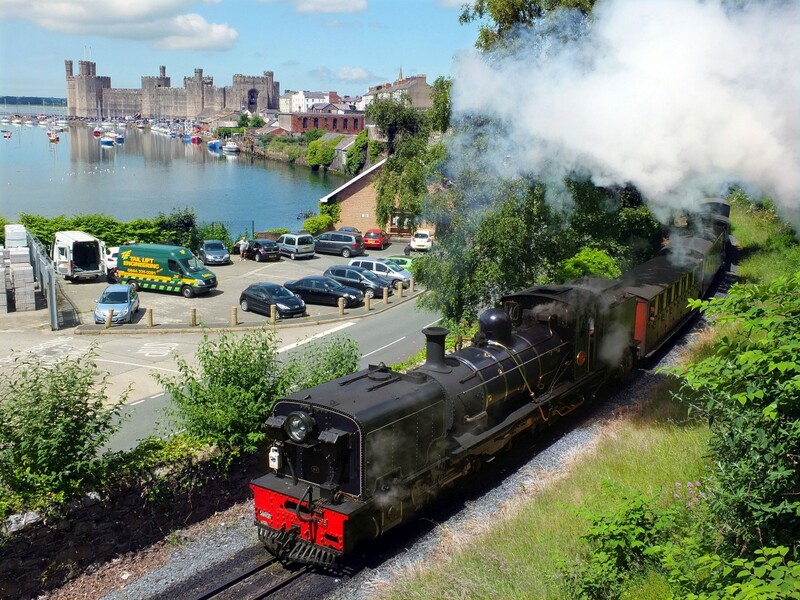 You can even catch the train from our Caernarfon station. Be it by bus, car or train there are numerous ways access this World Heritage status town. Whether you’re coming from the North West of England or the North Wales coast, getting there couldn’t be easier. Trains to Bangor run regularly from Chester and there is a frequent bus service in place that will take you to and from Bangor. Llandudno and the whole North Wales coastline are also well served. Arriving by car? Head down the A55 expressway to Bangor and then onto the A487 to Caernarfon. You’ll find the station sitting beside St Helen’s Road, close to the castle. No need to worry about parking as there is ample space nearby. It really is the ideal place to start your railway adventure. Your journey – which starts under the shadow of Caernarfon Castle – takes in the best of Snowdonia’s stunning scenery as the train twists alongside rivers and lakes, under the impressive and breathtakingly beautiful mountain ranges. Keep your camera handy as the scenery really is amazing. Experiencing industry leading style and comfort, you’ll be travelling behind the Beyer-Garratts – the largest two-foot gauge steam locomotives in the world. Boasting comfort in the form of heating and double glazing, many of our carriages have been built by our very own craftsmen; we even have disabled-friendly seating and wheelchair spaces that can be booked in advance. Fancy something to eat whilst taking in the view? We offer a selection of hot food and cold sandwiches freshly prepared in our onboard kitchen. Making an early start? No problem as breakfast can be taken whilst the scenery drifts by and our refreshment trolley is always making a regular appearance with a range of beverages including a few locally brewed ales. Along the line there are several stations to be found, with Beddgelert being the most popular before arriving at Harbour Station in Porthmadog. Don’t miss the Aberglaslyn Pass – voted as the UK’s most stunning view by National Trust members; you’ll see it shortly after leaving Beddgelert. When arriving in Porthmadog, there’ll be plenty of time to stretch your legs and do some exploring before re-boarding the train. The station is located next to the harbour; only a stone’s throw away from the town’s High Street. But if you don’t want to wander too far, why not explore the maritime museum next to the station or sit on the terrace at Spooner’s café and watch the trains go by? We’re thrilled to announce that a multi-million pound development of Caernarfon dock and our station will soon be taking place, which is excellent news for the region and for tourism in North Wales. We are extremely proud to be a part of Caernarfon and to be working closely with the local community. We look forward to welcoming you at our station and showing you the best of Snowdonia. So what are you waiting for? Take a look at our Welsh Highland Railway timetable and book your tickets from Caernarfon today.